This Summer find yourself immersed in our authentic Irish atmosphere, hear the locals speaking Irish whilst taking in the breath taking views of the rugged Connemara landscape. Take the chance to relax in our outdoor hot tub as you watch the colours of the sunset resting in the calm waters of Galway Bay. With the serenity of our location coupled with the spectacular views, it is hard to believe Galway city is only ten minutes away. It’s Summer with long evenings so wake up late in our heavenly comfortable pillow topped beds with crisp white linen. Our bedrooms are uniquely designed with bespoke furnishings and pale palates. Enjoy a coffee on our mezzanine floor with panaromic views, choose a book from our library, stunning views, effortless service and calming comfort, we’ve got it all. Visit Kylemore Abbey with it's dramatic landscape and iconic image of a baronial castle reflected in a Connemara lake. 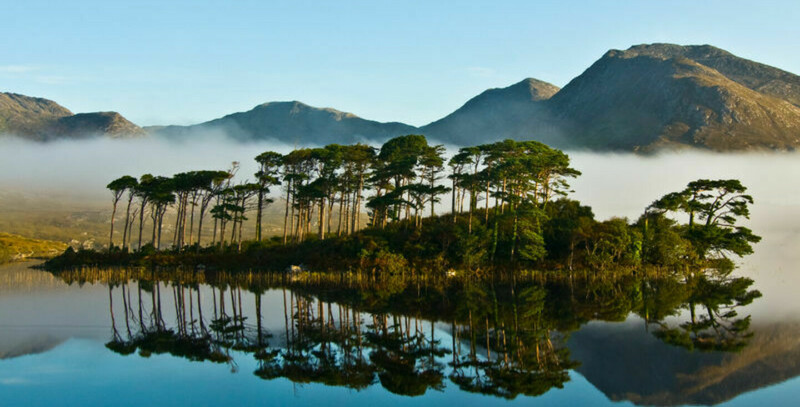 Visit Connemara National Park with 7000 acres of mountains, bogs, heaths and grasslands, with wildlife and scenic walking trails. Take the ferry from Rossaveal to the wind-buffeted Aran Islands and enjoy their rugged desolate beauty that draws countless day trippers. With the Wild Atlantic Way on our doorstep the Connemara Coast Hotel is the perfect location for your Summer Break. "Hotel was excellent from staff to facilities like swimming pool seafront walk bar restaurant tidy cosy comfortable spacious rooms with room service and even had breakfast in bed. All perfect and excellent location not too far from city centre." "Relaxing break with sea views"
"Seeing the sea every morning as I open the curtains was a big boost to start the day. Lovely walks around the hotel. Loved the spacious feeling inside. Beautiful elegant staircase & several comfy relaxing areas"